Piet Jonker and Brad Fraser build and renovate with creativity and beauty. They have experience and knowledge of sustainable building practices. Their work is of the finest quality and craftsmanship combined with an ethic which is sensible. Exceptional, creative, unique, passionate about what they do... and so much care not only on the details of the project but also of the people the job is for. I could not recommend Jonker Custom Building more! Piet and Brad are amazingly creative and talented craftsmen. I highly recommend them for your next building project. Jonker Custom Building Ltd. was created in 2000 by Pieter Jonker. Piet is a journeyman carpenter with experience ranging from large scale commercial concrete work to fine finishing. In 2008 he spent two years studying green building technologies at V.I.U. in Nanaimo BC. The green building program focuses on integrating solar energy, heating and cooling, and geo-exchange technologies into building projects. Brad Fraser also studied green building at V.I.U. He is a journeyman carpenter with 10 years of construction experience. Brad’s introduction to custom construction came as his dad’s helper, and much of his early experience came from residential framing. Piet and Brad are both LEED® AP’s (Leadership in Energy and Environmental Design Accredited Professionals). 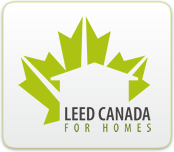 LEED is the most widely recognized green building rating system in North America. They both strive to build better homes, and continue their education to stay on the leading edge in the fast evolving green building world. Piet and Brad build durable, long lasting buildings and take extra pride in their work knowing it will be on appreciated for many years to come. We work with you to create unique, highly efficient homes with low environmental impact.